It is tempting to attribute China's recent ascendance to changes in political leadership and economic policy. Making China Modern teaches otherwise. 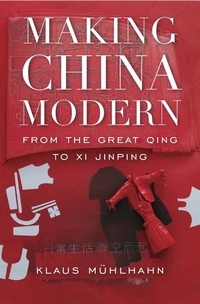 Moving beyond the standard framework of Cold War competition and national resurgence, Klaus Mühlhahn situates twenty-first-century China in the nation's long history of creative adaptation.